Physical activity may not be a priority when you are first diagnosed with a chronic illness like IC. Pain, fatigue, and unpredictable urinary frequency can seem like impossible barriers to maintaining an active lifestyle. Physical discomfort from bike seats, chlorinated pools, and wet swimsuits can be problems as well. Nevertheless, being diagnosed with IC should not get in the way of caring for the rest of your body. We all know that extended periods of inactivity can raise your risk of cardiovascular disease, various cancers, diabetes, and obesity. 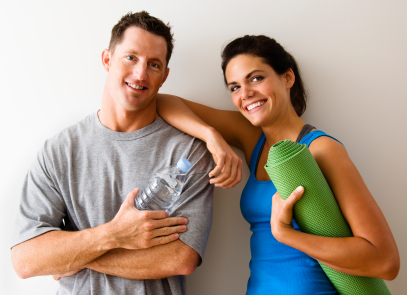 In addition to combating these health issues, an active lifestyle lowers the risk of depression and is simply more fun! You might have to modify your approach as you pursue the activities you enjoy. I am addicted to my pedometer and have used nearly every brand out there for the past several years. Accusplit is the best I have found. Pedometers subtly encourage you to increase your fitness level by walking and keeping track of your steps. By walking just 2,000 more steps a day, you'll be on your way to a healthier you. 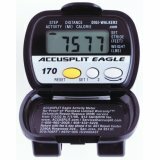 The AE170 counts up to 100,000 walked or jogged steps, computes the distance traveled in either miles or kilometers, and computes the calories you've burned during your activity. Enhance your yoga journey with the Savasa Yoga Fitness Kit. The Savasa kit has everything you need to get started today with your yoga practice. The kit includes a 24-inch by 68-inch by 0.125-inch Essential yoga mat, yoga block, eight-foot yoga strap, and core strength body ball. The fitness kit also gives you a DVD to guide you on your path to fitness. A Pilates-Inspired Workout For People With Pelvic Pain (Vol.#1) offers exercisers with pelvic pain disorders an effective, daily workout plan designed to tone and condition muscle. This first volume contains over 90 minutes of content and is rated Beginner to Intermediate Level. Unlike other exercise videos on the market, New Dawn Pilates Vol.#1 has been carefully crafted in such a way, as to not cause further pain to the pelvic region. The workout adapts Pilates principles of concentration, flow and breath to achieve a total body workout through low impact movements. The book includes extensive demonstration pictures and is a guide to safe and gentle exercises and stretches. 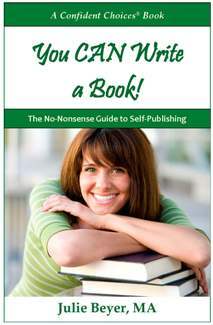 The authors, Gaye Grissom Sandler and Merrilee Kullman, R.P.T. pooled their backgrounds in movement and muscle re-education, and physical therapy together to create the series of stretching and strengthening exercises. 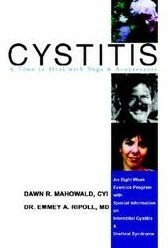 This book explains the different types of cystitis and the difference between yoga, acupressure, and acupuncture. It gives eight weeks of exercises and poses, with tips for those with IC. Also listed are certain poses to avoid, "Yoga for a bad day", and tips on the IC diet and ideas to keep flares to a minimum.